At RobKellerMD®, we are more than just a nutritional supplement provider; we’re a wellness community. We share the same goals as our customers and affiliates, which is to create positive habits that support long-term health and wellness. January is a symbolic month that is a kick start to a new year, and new possibilities. If you have made improved health and life balance a resolution for 2018, we want to help by creating awareness of small, incremental habits that we all can adopt, to reach our wellness goals. This year, we will be launching a new campaign to help everyone remember the impact of positive daily decisions that you can make, that add up to cumulative health benefits. Whether your goal is to lose weight, reach a fitness benchmark, or simply to feel good about making healthy choices, we’ll be sharing tips on social to help you keep that momentum (and your resolutions) for 2018. Fitness trainers and wellness coaches get results, because they provide accountability and consistent support, to help you reach your goals. Each one of our staff members and executive team have thought about how they want to improve their own personal health this year. And we want to hear about what you plan to do, on a daily basis, to build healthy new wellness habits. 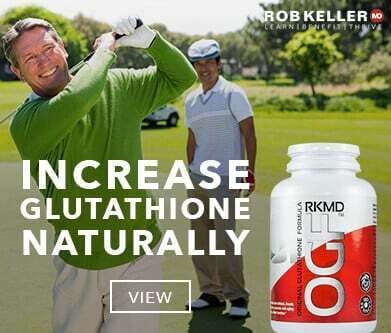 Whether you are at the gym, eating healthy, remembering to take your RobKellerMD® supplements (like Dr. Keller’s Original Gluathione Formula™), take a picture and use the hashtag #MyDailyHealthPledge. We’ll be ready to share your inspirational post with our social media community. High-quality nutritional supplements only work, if you remember to take them every day. 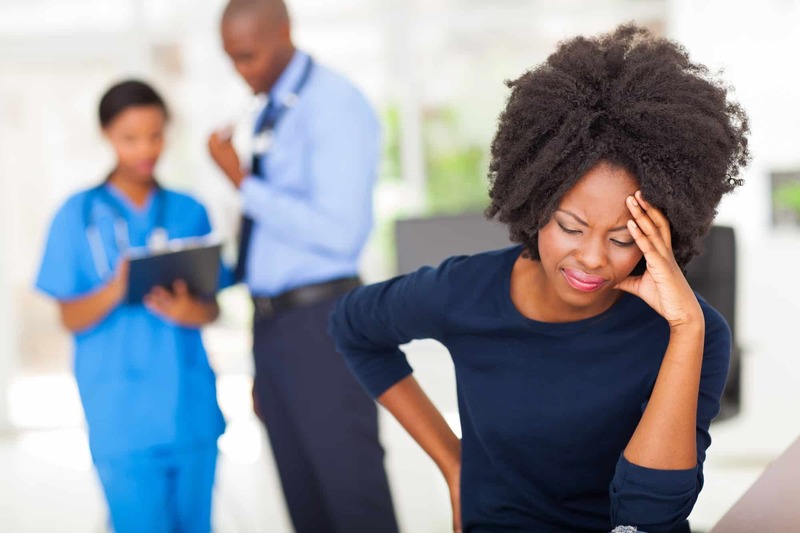 But with a busy schedule, it can be difficult to remember to take them every morning, to help bridge the gap between the vitamins and minerals your body needs daily, and what you consume from dietary sources. In 2018, we want to be a small part of your health and wellness victory. Every month, we’ll be giving away one Sagely Smart Daily Supplement Organizer to participants of our #MyDailyHealthPledge program. No purchase is necessary to participate in our monthly contest, and it is open to all residents of the United States. Monthly winner will be randomly selected. Share your 2018 wellness goals with us in January. We’d love to see a picture of you ‘walking the talk’ and making your health commitment for the new year. Don’t forget to tag us on Twitter @RobKellerMD or on Facebook and Instagram, and use the hashtag #MyDailyHealthPledge. Share a picture of a healthy snack you chose. 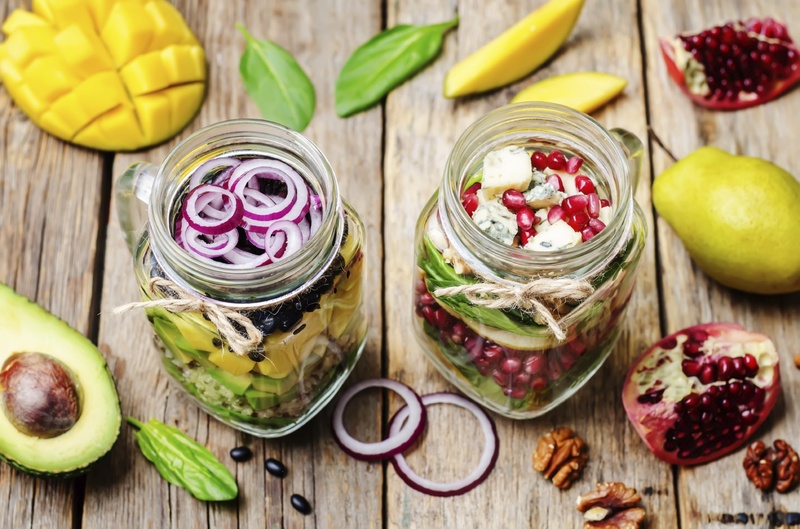 Be a healthy foodie! Make a post about a new type of workout, or class you attended. Was it great? Would you recommend it to others? Participating in a marathon, or walk-a-thon? We’d love to see a picture! If weight loss is a goal, share your exciting progress. Share a fun outdoor activity you enjoyed with friends or family. 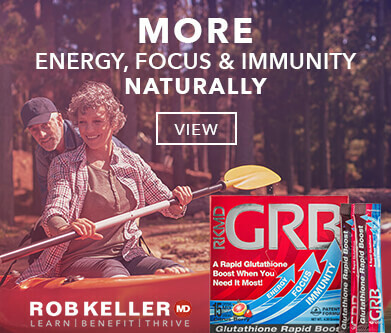 Tell us about your favorite RobKellerMD® supplements! Help others reach their goals, by sharing your favorite new health tip! 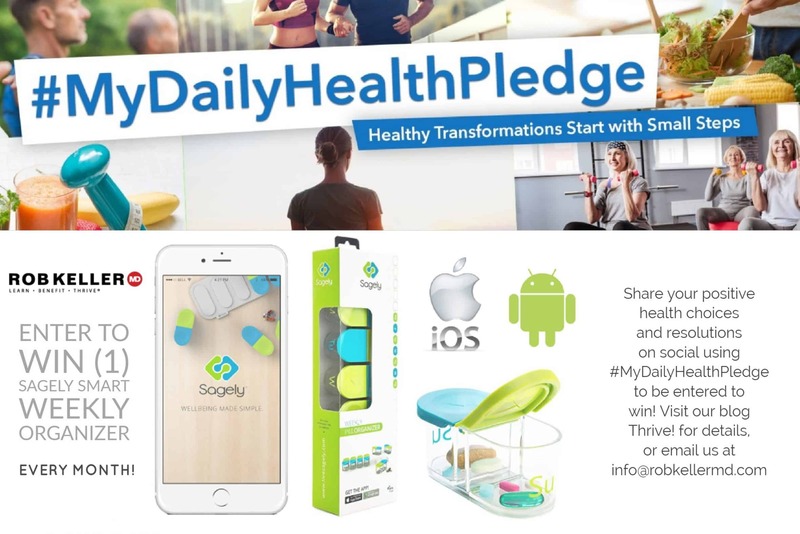 Don’t forget to hashtag your posts #MyDailyHealthPledge to participate in our monthly draw. We’ll be retweeting and sharing your posts on social, to inspire everyone to create healthy new habits (and make them stick). Watch for our wellness tips throughout the year, and follow the hashtag to see what other RobKellerMD® customers and affiliates are sharing. We can do this together, and we love reading your comments and feedback on our posts and blog articles. Wishing everyone a fun and healthy 2018, from all of us at RobKellerMD®.